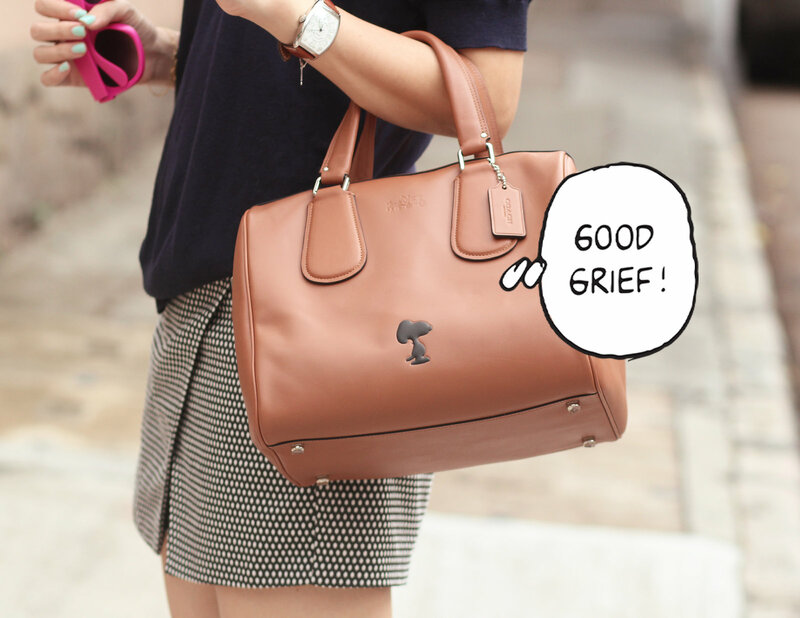 Last year, Coach has won our hearts over by embossing the iconic Peanuts characters on its classic bags. The limited edition was sold out in no time but grieve not, it’s now back, and with more to offer: clutch, ipad case, backpack , and even leather dolls! The one I’m carrying here is my favorite off the collection. I love the retro, preppy vibe of it and it’s refreshing to see Snoopy in all black. Before trying your luck when the collection hits stores on 24 June, you can get photobombed by Snoopy, Woodstock, Charlie Brown and Lucy, simply download Coach’s app HERE!